Kitchen tools can make mundane cooking chores fun, easy and simple. 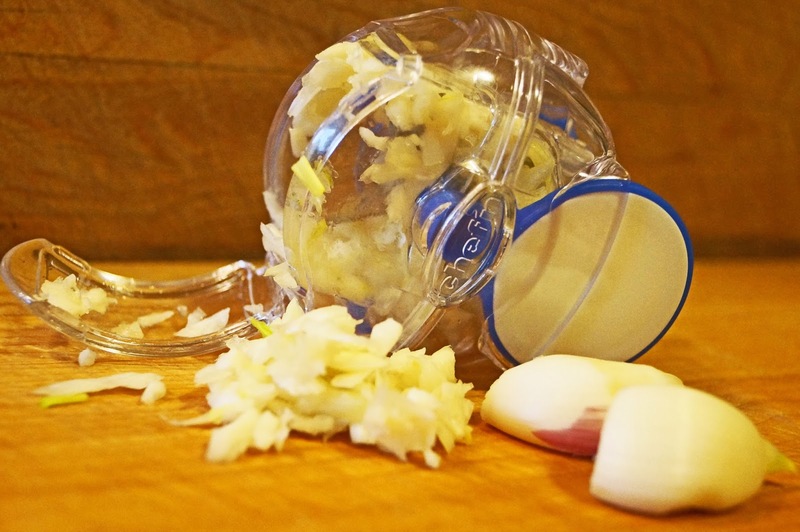 Do you ever get frustrated and tired constantly chopping garlic? 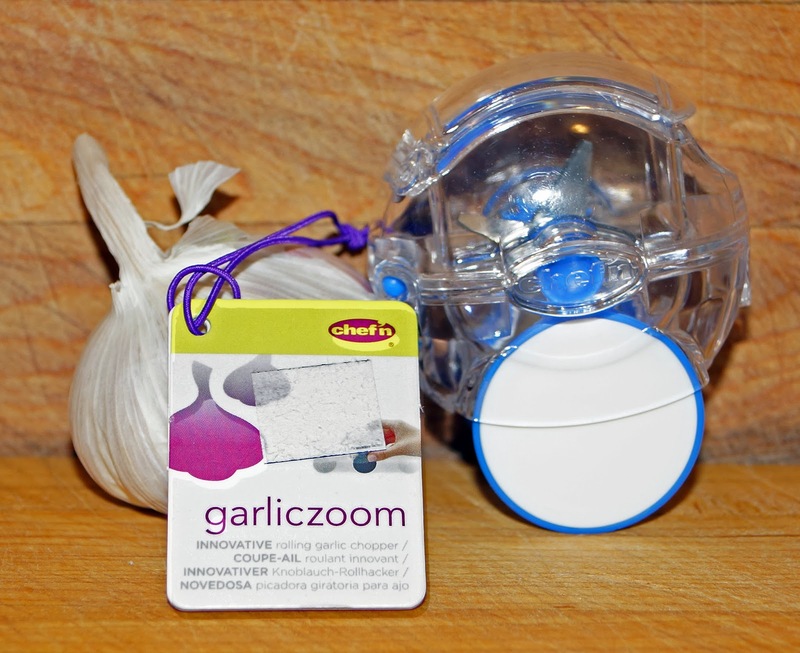 Fear no more, the "garliczoom" may be just the utensil for you. My birthday was last week and Ms. Goofy gifted me this special tool because she believes it is cute. It does look like a little space creature. Let's go chop some garlic. The instructions are simple: "load, roll, remove blade, empty". The chopping chamber is fairly small. You can fit one large clove or several small ones. I rolled it against the counter with ease. It was time to empty. I skipped the remove blade instruction because I have big sausages as fingers and I could not figure that part out. I just opened the lid and shook. Ms. Goofy had to show me the correct way to empty this contraption. The garliczoom did chop the garlic easily and I guess it was kind of fun. I already have a special spot in the back of the gadget drawer to store the garliczoom. Happy B day! I love fun kitchen toys. Greg, We ran out of room a long time ago with all our kitchen toys. I think I only have room for that Big Green Egg left. I wondered how those worked. I have seen them on TV and in the impulse buy section at our kitchen store. You always wonder if those gadgets work. Three Dogs BBQ, It works just fine but only one or two cloves at a time. I feel more comfortable using my old school knife.